The Task Force HCI-KDD pursues an ultimate goal: to combine the best of two worlds: Knowledge Discovery, dealing with computational intelligence and Human–Computer Interaction, dealing with human intelligence. Pioneering into a previously unknown territory, there is a vast area of undiscovered land to explore. Seeing the world in data is awesome, allowing the discovery of novel areas, unexpected facets and intriguing insights of and into the fascinating science of data, information, and knowledge. One success factor is a cross-disciplinary view – from different fields, diverse subjects, different perspectives to have a fresh look for novel ideas and on finding the methodologies on how to put these ideas into practice. Some of the most pressing questions of nature are interwoven in these areas: What is information? What is life? What is computable? How can we build systems to facilitate understanding and sensemaking? We will hold at least one session per year. 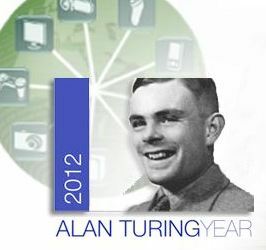 This special session is organized in the context of the International Conference on Active Media Technology (AMT’12), December 4-7, 2012, Macau SAR, China and is a special celebration of the Alan Turing Year as part of the World computational Intelligence Congress WIC 2012 with focus on cross-disciplinary aspects of two fields of increasing importance in Computer Science: Human-Computer Interaction (HCI) and Knowledge Discovery from Data (KDD). The mission is to bring together researchers from diverse areas in a cross-disciplinary manner, to stimulate fresh ideas and encouraging multi-disciplinary work. Accepted papers will be published in the conference proceedings by Springer as a volume of the series of Lecture Notes in Computer Science (LNCS). A selected number of the best papers will be published in special issues (see conference page). We are confronted with increased masses of data – across all domains (e.g in biomedicine and health care) – and especially on the Web and Social Media. Research in Human-Computer Interaction (HCI), Information Retrieval (IR), Knowledge Discovery in Databases and Data Mining (KDD), has long been working to develop methods that help end users to identify, extract, visualize and understand useful information from huge masses of high dimensional and often weakly structured and/or non-standardized data. Our goal is to combine those efforts to support professional end users to interactively analyse information properties and to visualize the most relevant parts without getting overwhelmed. Ideally we speak of HI-CI – Human intelligence (HI) “meets” Computational intelligence (CI) by making computational methodologies and approaches interactively accessible to the domain expert to support them to solve complex problems in the real world. The challenge is to enable effective human control over powerful machine algorithms and to integrate statistical methods and information visualization, so as to support human insight, breakthrough discoveries and innovations, and decision making – primary research objectives in the field of Human-Computer Interaction. Text Mining (coomputational linguistics, Natural Language Processing, Web Mining, Web knowledge discovery, data extraction and Intelligent Information Extraction). Have a nice and pleasant journey!